Final Fantasy XIV is a great game with a lot of depth to it, as you'll know if you were following our LiveTopic coverage last week. However, as with many other MMOs, its launch has not gone as smoothly as either the player base or Square Enix might have hoped. It's the usual excuse -- "the number of users attempting to access the game has significantly exceeded our initial estimates" -- but in this case it's entirely possible there may be some truth to it. 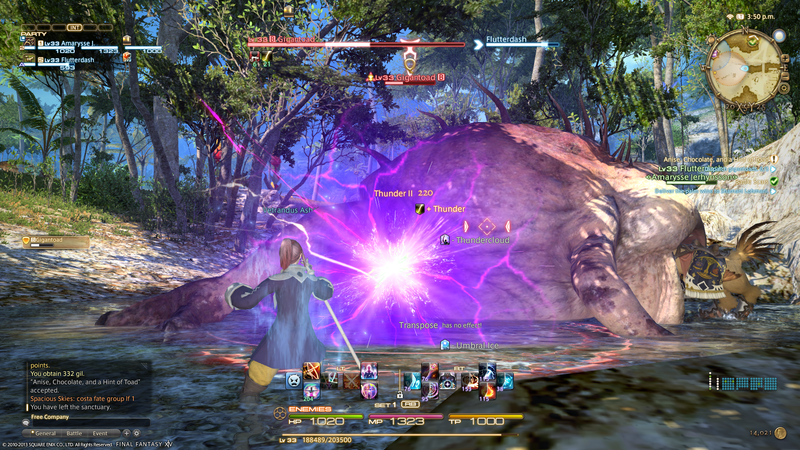 Although early impressions of FFXIV's new version have all been enormously positive, releasing it at all was still a huge risk for Square Enix; there was, after all, no guarantee that those who felt burned by version 1.0 would come back, and it would be understandable for the company to make somewhat conservative estimates as to how many players they might expect. Not only have a significant number of legacy players come back, though, but a huge influx of new players are signing up and discovering the joys of the game for the first time. This has led to numerous issues from the Early Access weekend through into the start of official service. While some annoying issues from the beta period have been largely resolved -- chief among them being Error 90000, which would kick you out of the game when leaving an instance then leave you unable to login again -- the biggest problem at present is the notorious Error 1017, which refuses to even allow you to queue to get on to your server of choice. But what is Error 1017, and how can it be fixed? Error 1017 actually isn't an "error" at all -- it's a side-effect of Square Enix's login restriction system that producer Naoki Yoshida explains in this post. 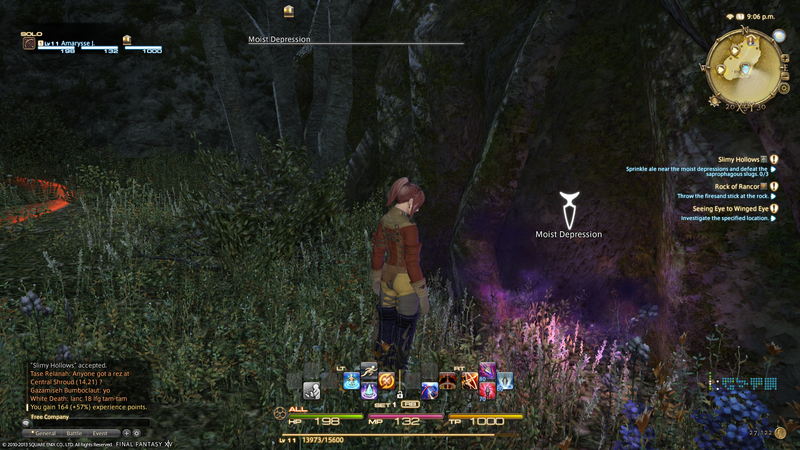 To summarize: at present, each Final Fantasy XIV World (which is actually a group of servers) currently has the capacity to stably support a maximum of 5,000 concurrent connections, though more than 5,000 characters may be created on that World. If more than 5,000 players attempt to log in at once, there is a stronger risk of server crashes, so restrictions were put in place to prevent that threshold being crossed. This is what's happening if you get Error 1017 -- it's a safety net put in place to prevent servers crashing and to prevent a rush on the login/lobby servers. Square Enix staffers are keeping an eye on server populations, and when they drop comfortably below 5,000 concurrent connections, they open up the queues and allow new people to log in. The lack of this "AFK kick" system that is seen in most other MMORPGs is a hangover from both XIV's predecessor XI and XIV's version 1.0, both of which featured a game mechanic whereby you could set up your character as a "bazaar" and allow people to buy items from you while you weren't actively playing -- a system which wouldn't have worked if you were kicked out of the game for inactivity. Since the Bazaar mechanic has been removed in A Realm Reborn and replaced with the Retainer system, which is more akin to a conventional auction house system, there's no longer a convincing reason for Square Enix not to implement an AFK kick. Square Enix acknowledges that there have been problems, and has actually been pretty good about communicating with players regarding its intentions to resolve the situation. The next step in its efforts comes with a period of emergency maintenance on all game servers today from 5 p.m. until 3 a.m. (Pacific Time) which will address three things: adding additional Worlds; reducing stress on the Duty Finder matchmaking and instance servers, which allow players from different Worlds to play together on cooperative challenges such as dungeons and boss fights; and increasing the number of concurrent logins allowed for each server. Assuming the additional capacity added is significant enough, this should hopefully be enough to minimize future occurrences of Error 1017, allowing more players to play at the same time without the servers crashing. By way of apology for the inconvenience caused to players by the various login problems, Square Enix has extended the grace period for new owners of the game by seven days, assuming they register before 11:59 p.m. on September 9 -- after this, you'll have to enter the registration code in your game package to acquire your 30 days free subscription. Not only that, but those who already have active subscriptions from their registration code will receive an additional seven days of play time for free. This additional time will be reflected on your account after the maintenance concludes early Wednesday morning. Further information can be found here. Both Mike and I have been playing a bunch of Final Fantasy XIV in preparation for the USgamer review, but we're going to hold our final thoughts until after this maintenance period is concluded to see if the server improvements make a significant difference to the player experience. Watch out for it later this week -- and we'll hopefully see you in Eorzea if you can get past the beast at the gates! Tagged with arealmreborn,	finalfantasyxiv,	News,	PC,	squareenix.